Leaks are sneaky. That’s why leak detection is a job for the specialists at TDT Plumbing. Leaks start with increases in your water bill, damp spots in your lawn, musty smells in your home, or unexplained cracks in concrete. Every leak comes from a pipe failure. The cause of that failure varies from pH of your water, chemical composition, delivery pressure, water temperature, or the type of pipe. We became Houston’s leading leak detection specialist by using numerous pipe location, leak isolation and detection tests and non-destructive repair processes. For domestic water lines, our ePIPE Repair Process saves you the inconvenience of repiping, while our Trenchless Sewer Repair allows for drain and sewer line repairs without tearing up your yard. 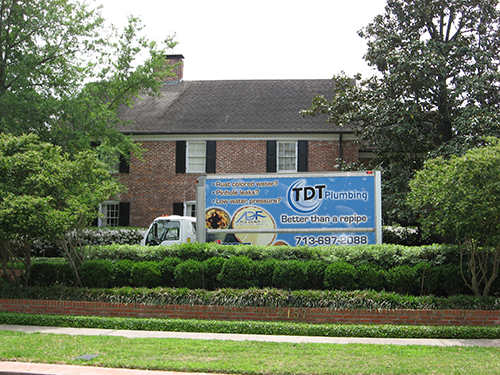 That means TDT Plumbing has the right leak detection and repair process for your specific situation. An important time to consider checking for sanitary leaks is at the time of purchasing a new home. Protect your future investment and know if your sanitary pipes are working. Every leak is unique. That’s why TDT Plumbing’s specialists use a variety of testing methods to determine the cause of your specific leak. Need service now? Click here. Call (713) 697-2088 now. Or, fill this out and a TDT Plumbing specialists will follow up to learn more about your issue and schedule a leak detection test.